For those who know their watch history, it is no secret that the singing bird has been a beloved creature adorning clocks, music boxes, snuffboxes and other objects of art for centuries. 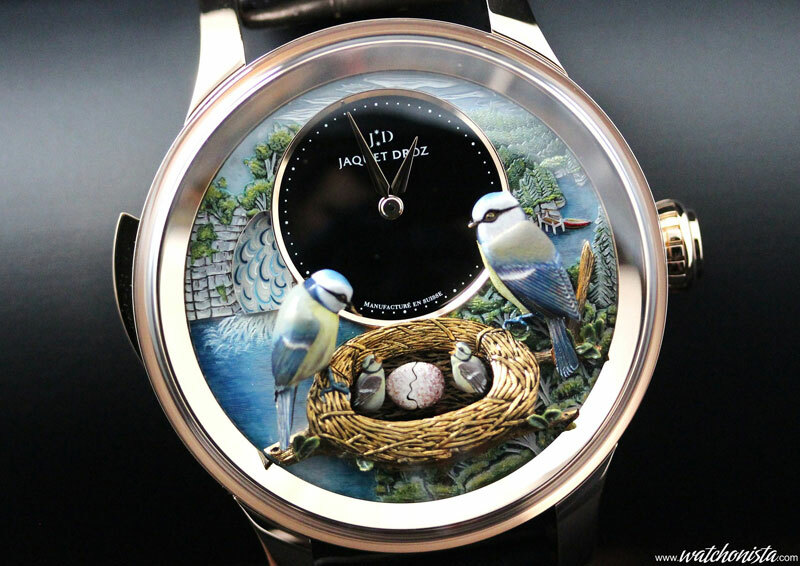 However, for years now, Jaquet Droz has been bringing the saga of the singing bird to wristwatches in alluring versions that feature sculpted birds as automatons on dials of musical watches. 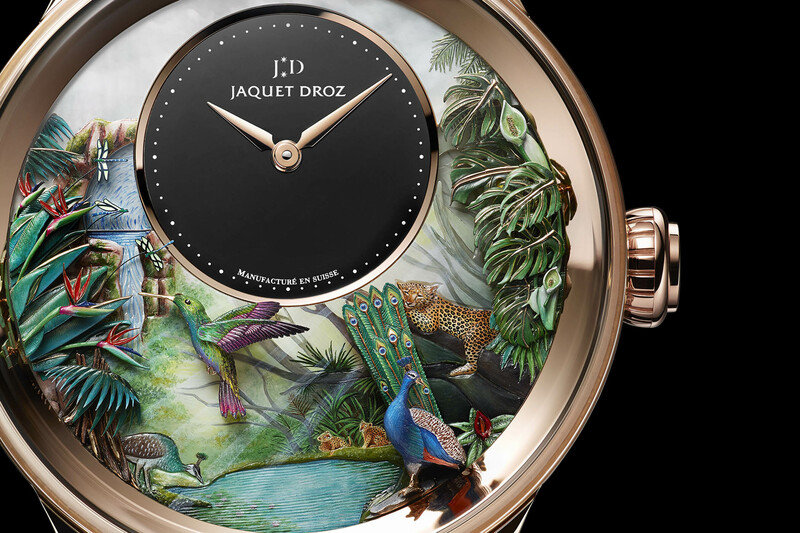 Now the brand brings the concept to all new heights with the unveiling of the Jaquet Droz Tropical Bird Repeater. 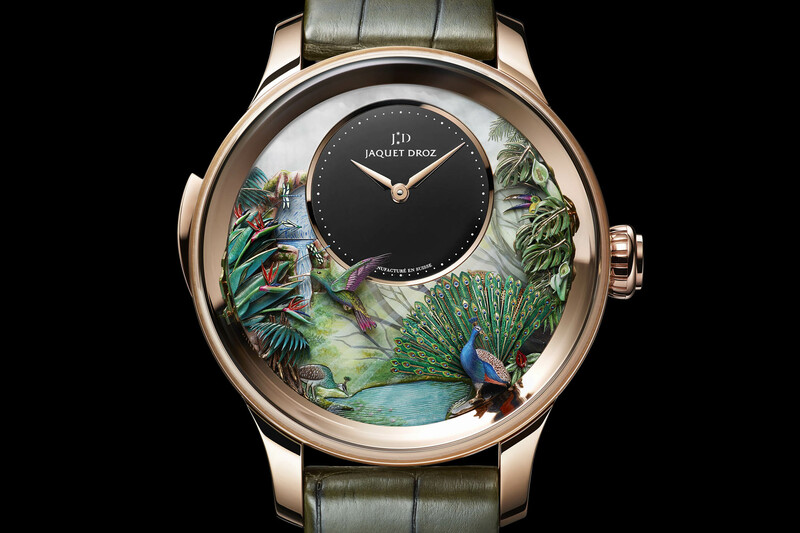 In fact, each year, the brand unveils a new animated bird watch (sometimes more than one) to honour the automatons made by Pierre Jaquet-Droz centuries ago. 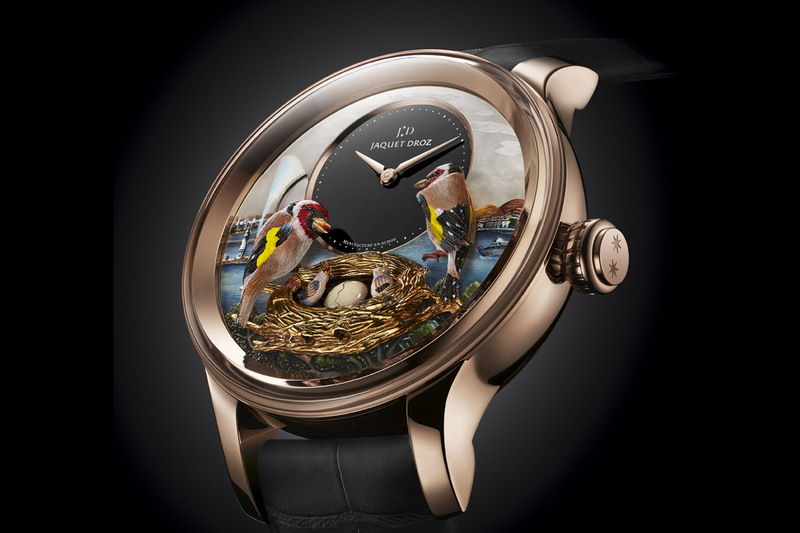 This newest piece celebrates five years of creating special “bird” watches – and does so with entrancing magnificence. 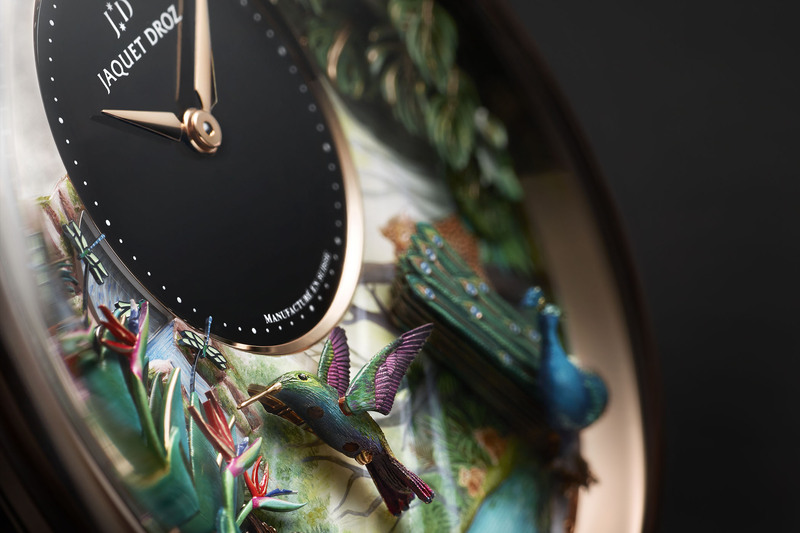 In this incredible blend of artistry, craftsmanship and technology, Jaquet Droz transforms the beloved bird into a magnificent and colourful hummingbird, set amongst a tropical paradise with a peacock and even a cheetah in the background. 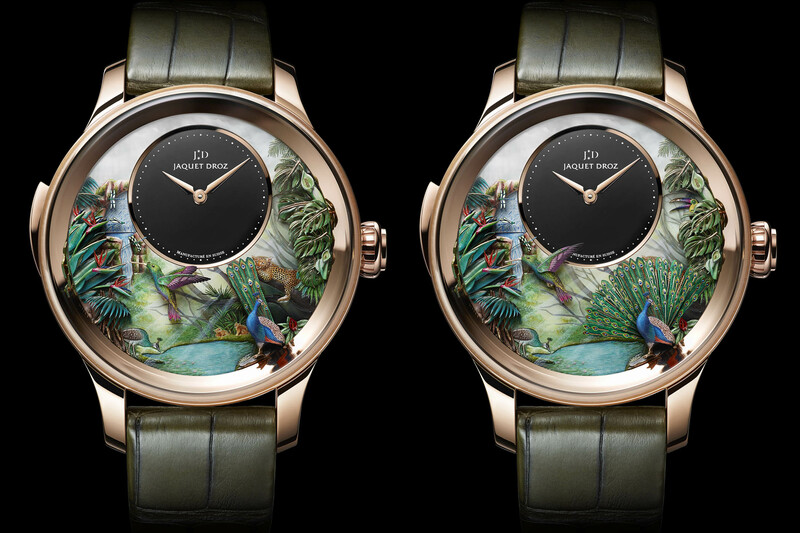 The Jaquet Droz Tropical Bird Repeater deftly combines a host of watchmaking and artisan techniques. 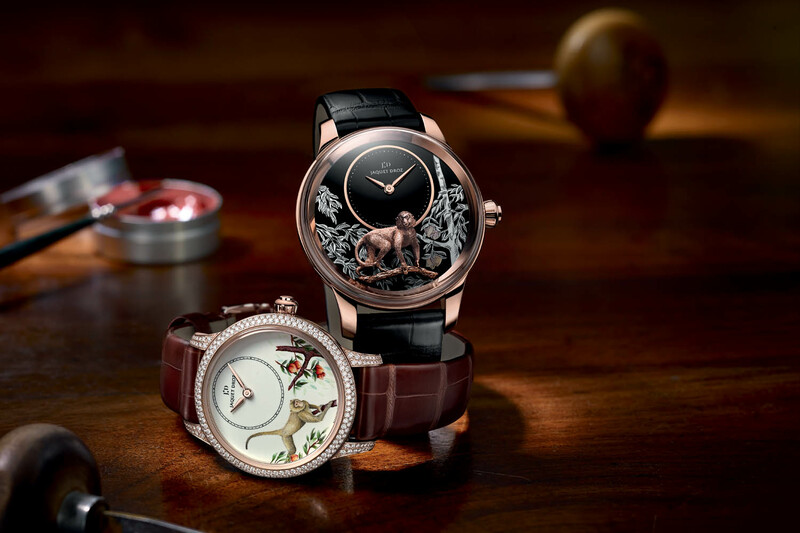 The creation of the bird, as well as the foliage and other decorations on the dial, requires painstaking patience and uncannily steady hands as parts are hand sculpted in gold, hand-engraved, hand painted and hand-placed individually onto the dial to form a final work of art. The dial of the 18k 5N 47mm rose gold watch is a lush tropical paradise with exotic foliage, bird of paradise flowers and even waterfalls meant to evoke images of the Garden of Eden. An inset onyx dial with rose gold hands indicates the time. As the hummingbird in the centre flitters in toward the vibrant orange flower, its wings beat 40 times per second. To its right, the stunning peacock with blue feathers – seen closed at times – opens its tail to display a feathered fan of intense colours and dramatic reality. As if this was not enough, a toucan bird emerges from the palm fronds (at 3:00), and three dragonflies (at 9:00) show off thanks to SuperLuminova coated wings that glow in the dark. In total, the automaton watch offers seven different animations depicted up to four different scenarios. The animation can last as long as 12 seconds. 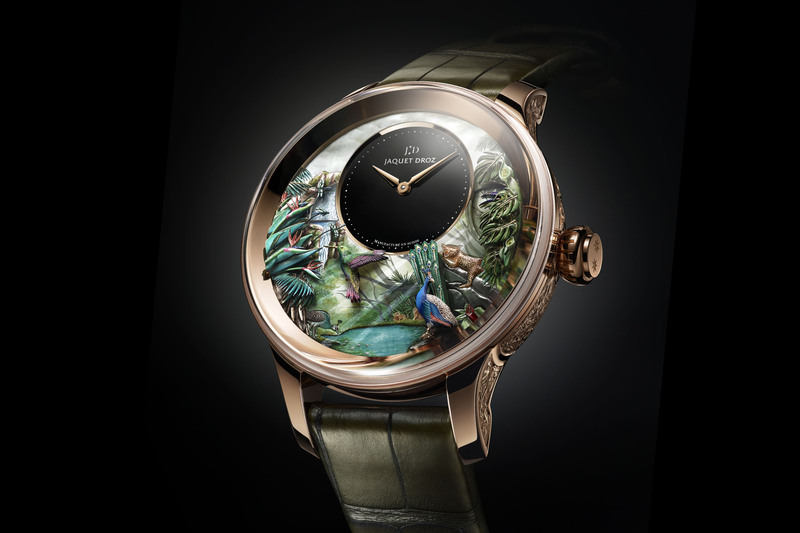 Combined with the automaton feature, the Jaquet Droz Tropical Bird Repeater is also music to the ears, as it is equipped with a minute repeater that chimes the hours, quarter hours and minutes via cathedral gongs. The repeater is classically activated by a slide on the case side. 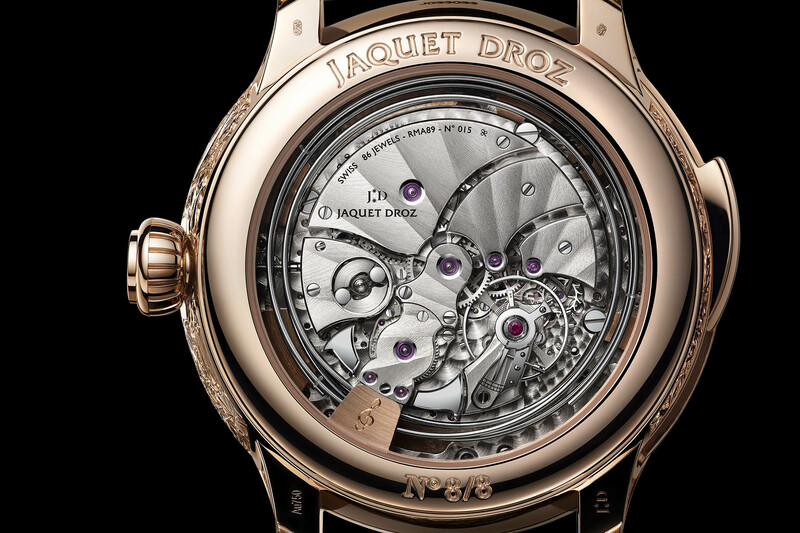 The new calibre, Jaquet Droz RMA89 (different from the one used previously, such as this edition) was a long time in the making, as the R&D team worked to equip it with a silent wheel regulator and new rack springs to extend the pause between quarter hours and minutes. Additionally, the quarter hours strike via four semitones. Equipped with 60 hours of power reserve, the movement beast at 3 Hz. 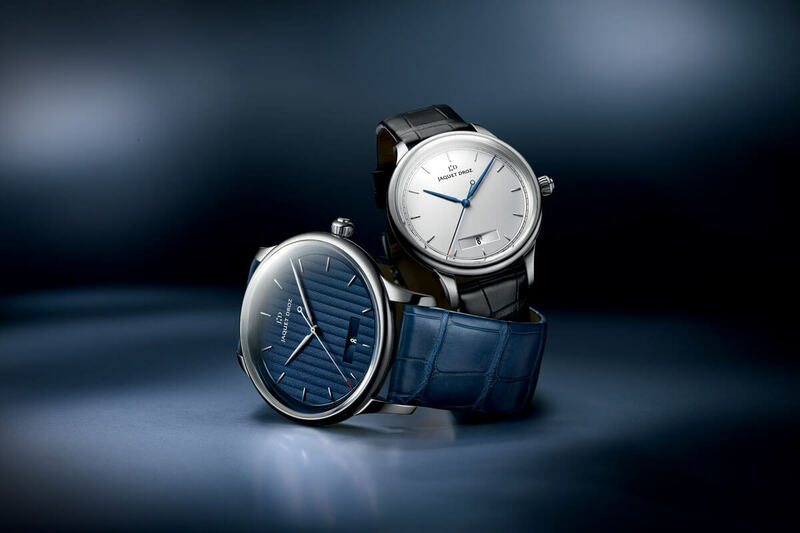 Completing the look, Jaquet Droz artisans have engraved the entire case sides and fitted the watch with a sapphire caseback for viewing of the beautifully finished movement. 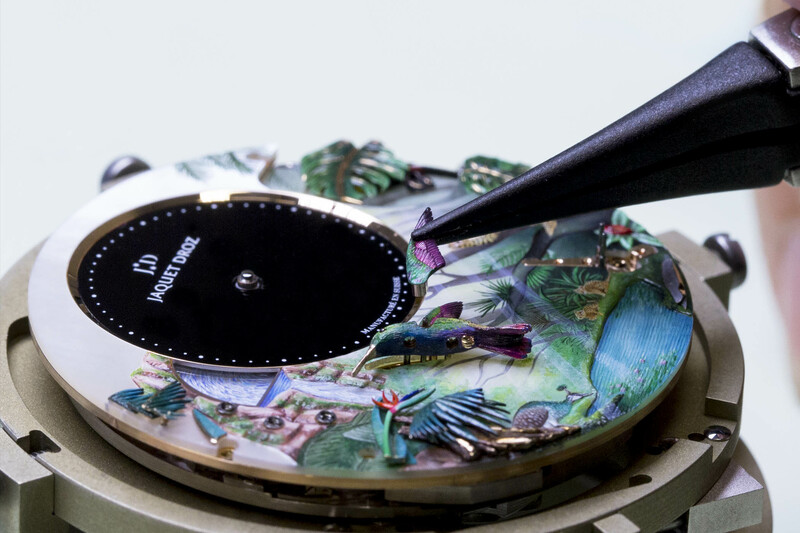 Just eight of this Jaquet Droz Tropical Bird Repeater will be made, and because of the hand craftsmanship involved, each is a one-of-a-kind piece. Price on request. 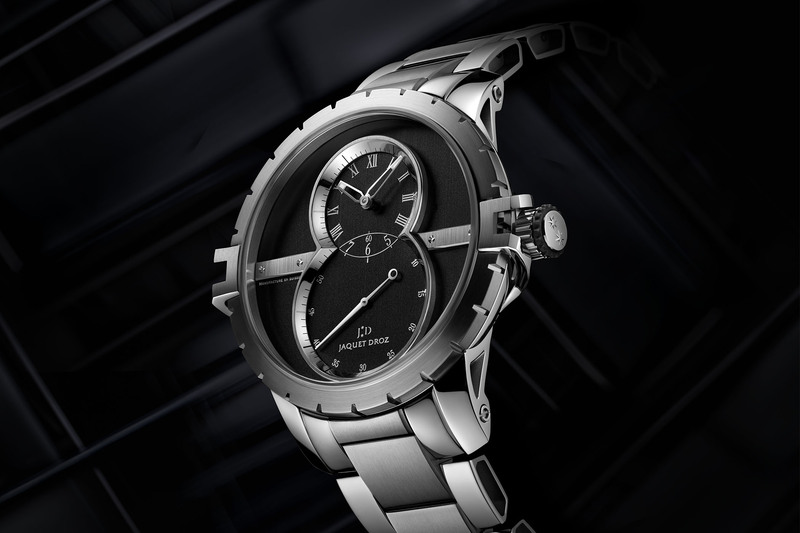 More information on www.jaquet-droz.com.